A burning back sensation is the feeling of experiencing warmth or heat in the back, which may or may not have accompanying pain. A lot of other symptoms can occur with the burning, including tingling, numbness or itching. Back pain is something that is experienced by almost everyone at some point in their lives. Back pain does not always occur with the burning sensation, but it is quite common. Anyone can experience it and older people are more prone to it because they are more susceptible to the causes of these symptoms. What can cause a burning sensation in the back? Actual burns, including thermal, electric or chemical burns. 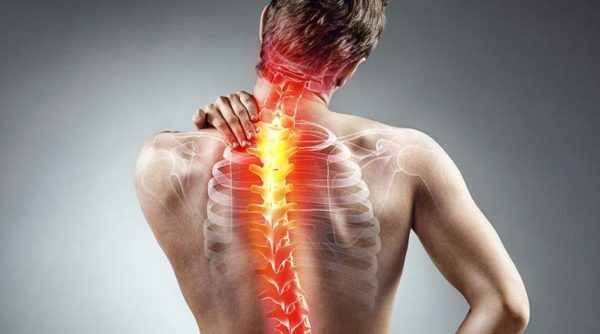 Usually in patients who complain of a burning back, the pain is located right in the middle back area between the shoulder blades or slightly lower which gets worse with sitting. Sometimes neck pain can also radiate into the mid back area (called referred pain). It is very important to find out and treat the underlying cause of the pain instead of taking pain killers or other similar treatments that only focus on relieving the symptoms. Burning middle back can be treated with great results. Most of the times, it doesn’t take any invasive procedure or painkillers to treat the cause of the pain. Treatment will depend on the underlying cause. Usually, the doctors advise rest and pain killers in the beginning. Other medications may also be advised like muscle relaxants, nerve medicines and nutritional supplements. Use ice-packs to reduce the burning sensation and decrease inflammation. Do not use it for more than 20 minutes. Take anti-inflammatory medications available over-the-counter like NSAIDs (nonsteroidal anti-inflammatory drugs) like Ibuprofen. Take rest when needed and perform appropriate exercises (recommended by professionals) to increase circulation and to keep your muscles in motion. It depends upon multiple factors, including severity and chronicity of the pain, underlying root cause of the pain, therapies and treatments, your willpower, and etc. Simple cases usually take few weeks but complex cases may take months. Maintain a good posture. This means you have to keep a proper posture when you are at work, while sitting, during sleeping at night, while driving. Set up your workstation properly and minimize positions which might cause undue pressure on the spine. Exercise regularly to maintain flexibility, movement and strength of the muscles of the body. Keep an eye on your body weight and eat healthy. Quit unhealthy habits like smoking and excessive drinking. Backrack™ is a non-invasive back decompression device designed to treat all types of back problems safely at home. Click here to learn more about the revolutionary Backrack™ technology.